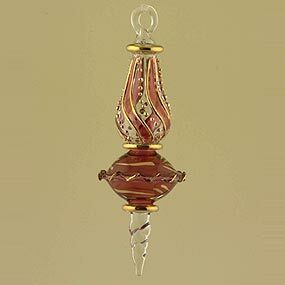 These finials from Egyptian Ornaments are simply beautiful; ..
Our history began fifteen years ago, with the dream of Egyptian Ornaments ...This dream was to research and re-create the marvels of the ancient egyptians through glass and silver designs, and to make these gifts within the reach of all people who hold a fascination for all things beautiful. Egyptian Ornaments founded the first bazaar in all Egypt specializing in such rare and wondrous gifts, namely the ´Egyptian Ornaments´,the first to reproduce the finest glass pieces that echoed traditional methods and designs of ancient Pharonic times. 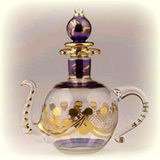 He initially opened the ´Egyptian Ornaments´in the well-known tourist region of ´Khan Elkhelily´ in Egypt, but now it attracts a most respectable clientelle worldwide, in particular contemporary American politicians and household names....have been tempted by the treasures of the famous ´Egyptian Ornamentsr´. 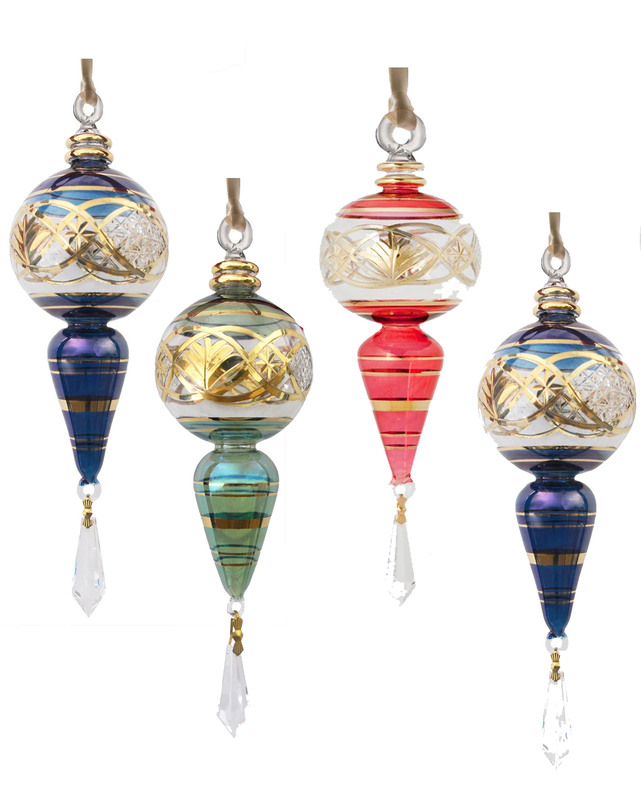 Egyptian Ornaments selects only the finest artisans to design and create this exquisite gift collection, and continually seeks to uphold the highest standards of design and technical mastery that have earned his bazaar worldwide acclaim and admiration.